The digital user in every corner of India is now quite familiar with the Amazon and Flipkart because they are the two main players when it comes to online shopping in India. Many people choose one of these leading shopping portals in India for online shopping due to the popularity and the world-class services they provide. Flipkart is serving its users since 2007 when it was founded by two engineers in Bangalore namely Sachin Bansal and Binny Bansal. A mutual passion and humble start-up by both of them revolutionized India’s marketplace and made Flipkart India's first billion dollar company. They transformed their vision into reality step by step and went up as the leading name in Indian e-commerce. At present, there would be thousands of online shopping stores on the web but Flipkart is India's favorite online shopping destination! People prefer Flipkart mainly because of the best prices offered on many products and absolutely hassle-free payment options. 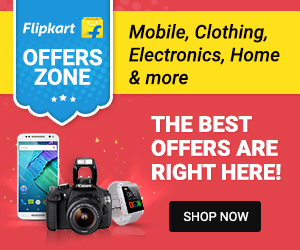 Be it Mobiles, Electronics, Fashion (Clothes, Shoes, Accessories), Home Appliances, Home Furniture, Jewellery, Books, Sporting goods, Beauty products and more; Flipkart, India's biggest online shopping portal is right there to serve at its best. Though Flipkart initially concentrated on books, currently it consists of a huge selection of wide range of products from all the brands at the lowest price. Though Flipkart deals with products from quite a lot category, people mainly prefer this as an online shopping site for books, an online store for mobiles, an online shopping site for fashion which mainly includes but not limited to clothes and shoes. They have enormous products which are in multiple categories and hence user-friendly. The choice of product category by Flipkart resulted in better customer satisfaction. 1. Product delivery in most of the areas of India in time due to association with multiple courier services. Along with an efficient supply chain, they also have their own delivery service. 2. Flipkart delivers branded, original, good quality and non-damaged products to their customers. 3. They offer various discounts on products which you can hardly find in other e-commerce stores. It is sure to make you buy online, isn’t it? 4. They offer you ‘Buying Guides’ to help you buy the most suitable products when you are overwhelmed with an array of products. Flipkart has specially curated these guides to help you buy the right product across diverse categories. 5. 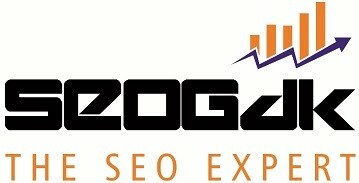 They focus on customer service from the core of the heart which makes their users happy and satisfied. If any inconvenience is faced by the user during the online purchase, they give a personal touch to the customer’s query and take a proper follow-up. 6. You can easily return the product, if not satisfied, with a money back guarantee. 7. You can track the status of your order. 8. Flipkart offers you multiple and secure payment options. You can do the purchase using Internet Banking, Gift Card, Visa, MasterCard, Maestro, and American Express credit/debit cards in India and 21 other countries. Cash on Delivery and Wallet option is also available. 9. They offer Flipkart online shopping app which can be downloaded freely on your Android phone or tablet. This makes it easy to shop online from the comfort of your home. Well, there could be some demerits too but they are quite trivial. Their service is not that much satisfactory in rural areas as compared to urban and delivery time may get extended. For free home delivery, there is a minimum order requirement. Being India’s leading online shopping portal, Flipkart is doing their best to give the Indians what exactly they want. They are working to make over the online experience for customers with respect to product development and innovation. The credit for Flipkart success can also be given to every member of the Flipkart organization, what they call as Flipster. Flipsters work with collaboration and synergy to get better together. It has been noted that Flipkart has more than 83 Million registered users, more than 30 Million products, more than 10 Million daily page visits and more than 8 Million shipments per month. These figures are increasing day by day as online shopping is getting more and more preference by Indian online users. Do share your opinions and experiences about Flipkart which is India’s leading online shopping portal!